London is one of the most exciting cities to visit, full of magnificent architecture and steeped in history. The city is vibrant and buzzing with life and you can’t help but get caught up in the wonderful atmosphere of this magnificent place. It is true to say that there is something for everyone and one thing for sure is you will not get chance to be bored. Many of the city’s attractions are absolutely free and can be visited on foot, so long as you have some comfortable footwear. Here are 50 of the top places to visit, although I could go on and on. I have not listed them in any specific order as everyone has such different tastes. If there’s anywhere not listed that you are interested in let me know and I’ll see if I can find some more information for you. Before you start your journey it’s worth knowing about the London transport system. There is an underground train system that interconnects throughout London . It is commonly known as the ‘tube’. It’s probably the quickest way to get around. At first it may seem daunting but with a little help from London Underground’s friendly staff and a tube map you will be on your way in no time. You may also be familiar with London’s famous red buses. Never run for a bus as there will be another along in a matter of minutes. This is not always the quickest way to travel, but by far the best for viewing the beauty of the city. Hackney carriages or black cabs – stick out your arm and hail a cab. Just not in rush hour as you will pay dearly. There are plenty of unlicensed cabs, cheaper but personally I wouldn’t take a risk as a Tourist. The Oyster card – is what all the locals use. If you are staying in London for more than a few days it’s certainly well worth buying one. As I speak (September 2012) they are 5 English pounds to buy, and then you top up as you go. Within 2 to 3 journeys you will have got your money back. You can use them on buses and the tube. Travel cards – allow you to travel around London for a set price depending on what zones you are visiting. A – Z Guide – The A-Z is a street index of London . You can buy one from most news agents. If you are at a tube/train station then nip into WH Smith’s (news agents) and you will most certainly see a copy to buy. They are easy to use and will help you find your way around very easily whilst giving you a sense of where everything is situated. 1. 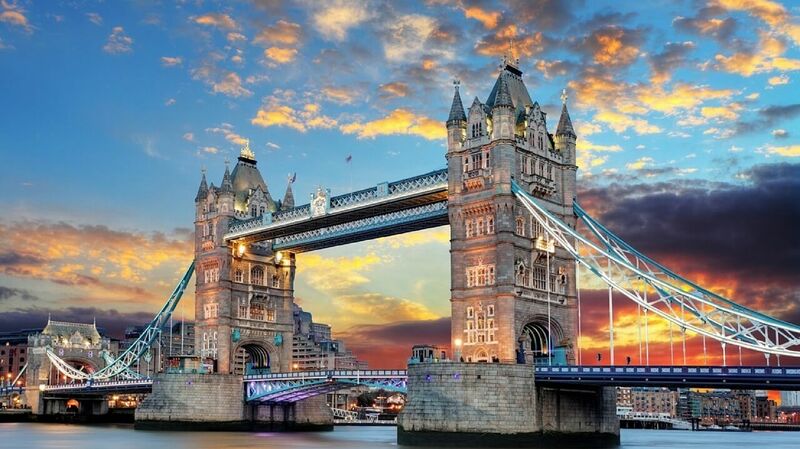 Tower Bridge – over 8 years to build and more than 11,000 tons of steel were used to construct this great bridge. The high walkways allow you to see the River Thames. The bridge opens it bascules once or twice a day. There is also a permanent exhibition with the towers of the bridge. 2. 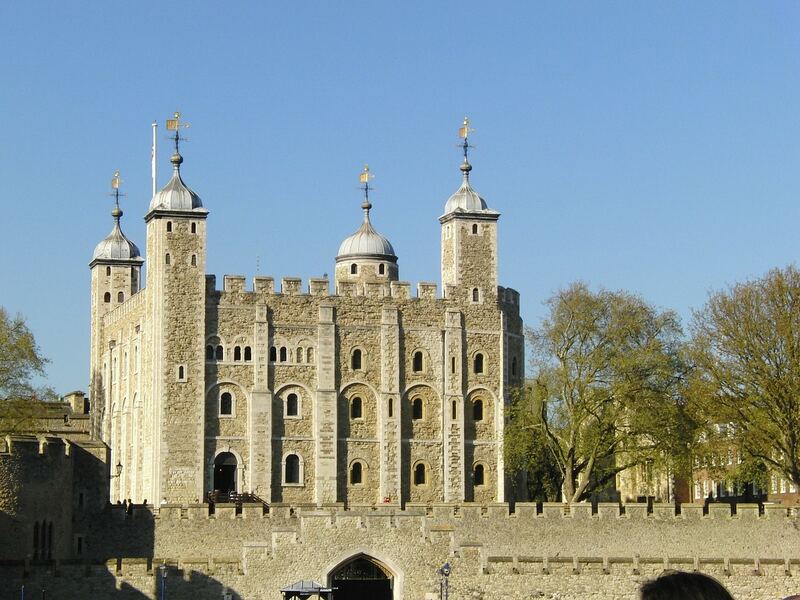 Tower of London – Almost next door to the Tower Bridge, you can get a good view from the bridge down onto the 900 year old fortress built by William the Conqueror. You will see the infamous Beefeater’s dressed in their red uniforms guarding the tower. Every English school child pays a visit to the tower at least once during their school years. Her majesty’s crown jewels are kept here and well worth a look, amongst all the other exciting things to view. 3. St. Pauls Cathedral situated in the Diocese of London attracts hundreds of thousands of visitors a year. It was designed by Architect Christopher Wren and built between 1665 and 1670. It is described as a ‘House of prayer for all people of all nations. It is to protect against injustice and public expression to hope for a better society’ Martin Luther King collected his Nobel Prize here in 1964. Royal weddings and state funerals are also held here. 4. 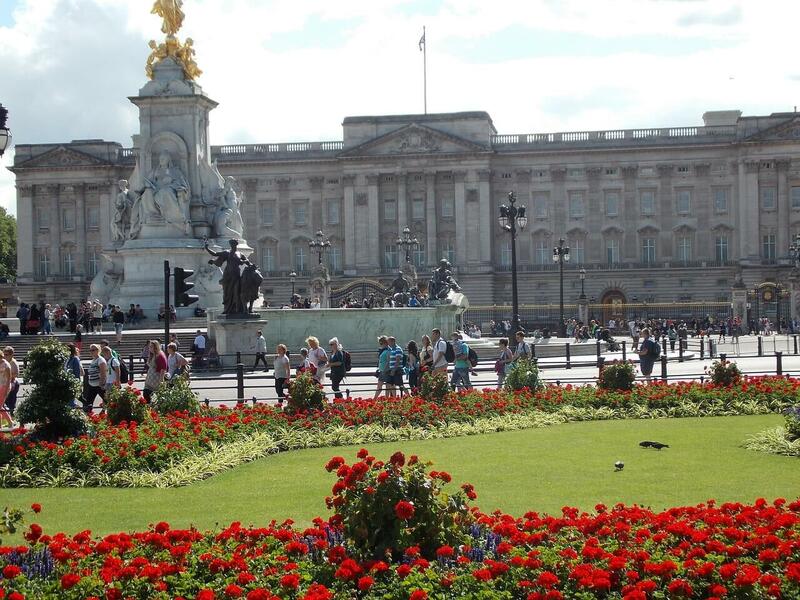 Buckingham Palace – official London residence of Queen Elizabeth II. The palace opens its doors to visitors once a year. 5. 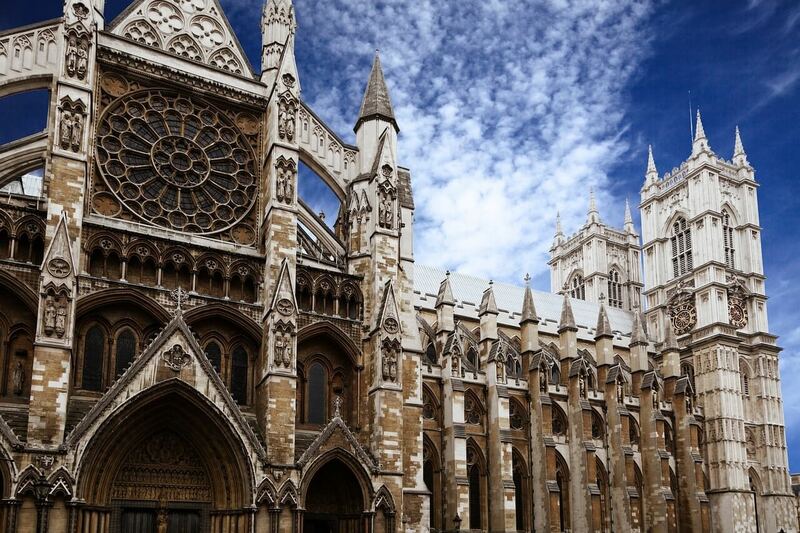 Westminster Abbey – if you love history you will not be disappointed when you visit this fascination building. Over 1000 years old it has been the coronation church since 1066 and is the final resting place for 17 monarchs. 6. 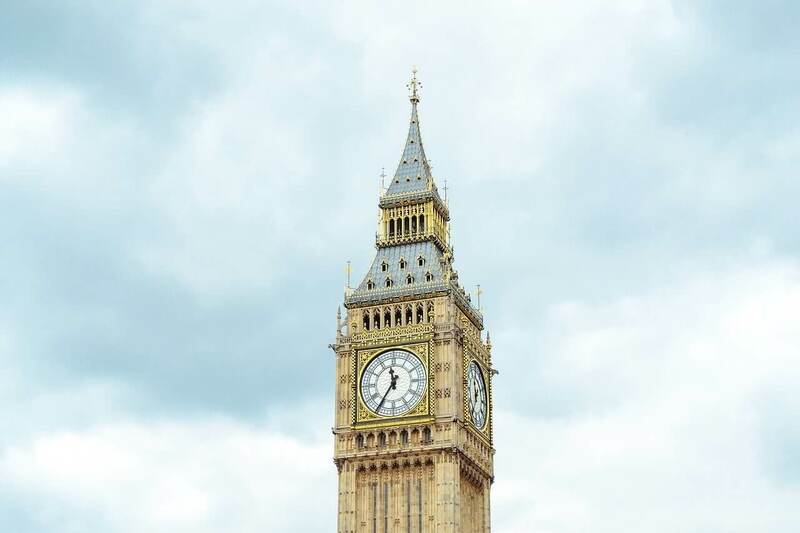 Big Ben (formal name Elizabeth Tower) – The Londoner’s favourite icon. The huge bell’s chime is loved by the locals. Standing tall on the banks of the river Thames next to the houses of parliament it’s certainly a sight to see. 7. Houses of Parliament – next door to Big Ben you can walk around the Houses of Parliament or take an official guided tour. 8. 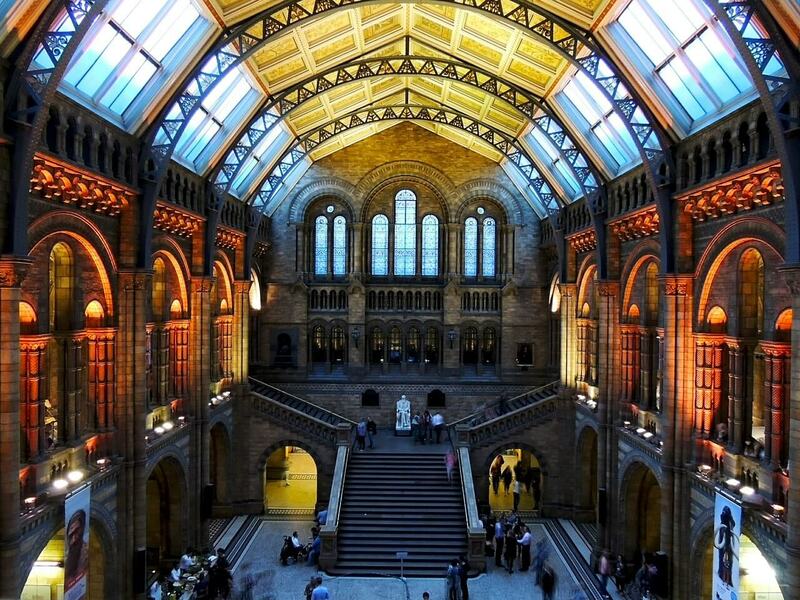 The Natural History Museum – you can spend hours wondering around this superb museum. The huge dinosaur in the main entrance is a real hit with the kids, as is the enormous T-Rex in the dinosaur exhibition. Admission is free. 9. The Science Museum – this spectacular museum will hold you in awe and capture your imagination. There’s a whole are in the basement of interactive play designed specifically for children. Admission is free (It’s next to the Natural History Museum). 10. The V& A (Victoria and Albert) Museum – described as the world’s greatest museum of Art and Design. It’s definitely worth a look even if you think it may not be your thing. Admission free (next to the above museums). 11. 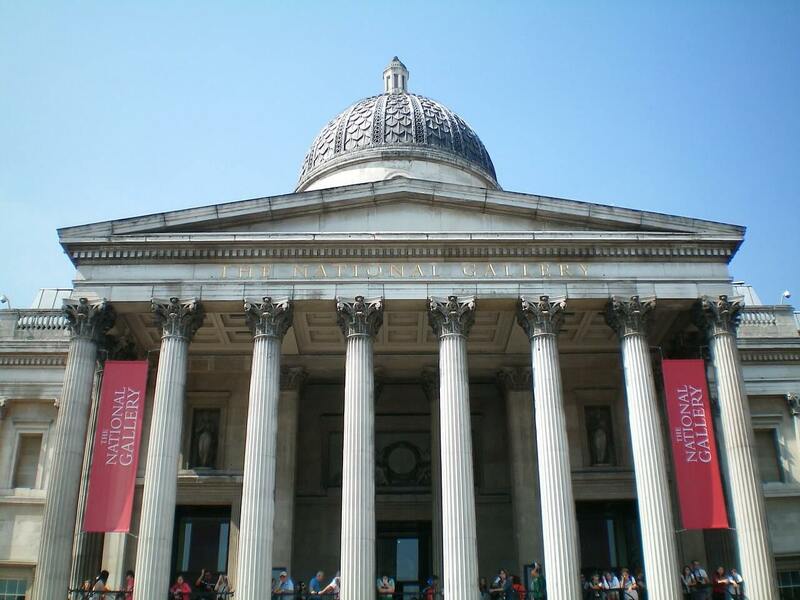 The National Gallery – Houses one of the world’s greatest exhibitions of Western European art. Admission is free. 12. The Tate Britain – Gallery – a wonderful gallery with many fascinating art and photography exhibitions. Admission is free. 13. The Tate Modern – Sister museum to Tate Britain, but located on the South of the river. If you like something a bit more contemporary then this is the place for you. Admission is free. 14. The British Museum – Arts and Artefacts from British history. Admission is free. 15. Madame Tussauds – The famous wax work museum. Loved by tourists. 16. London Planetarium – Just next to to Madame Tussauds is the London Planetarium. Get a real feeling for the night sky. Both are very near to Baker Street (home of Sherlock Holmes) and beautiful Regents Park. 17. Hyde Park – One of London’s most famous parks. Popular with everyone. Visit speaker’s corner and listen to the latest debates or simply wander around these glorious grounds. At the top of busy Oxford Street. 18. Green Park – Another glorious park close to Buckingham Palace and Piccadilly Circus. The famous Ritz hotel is nearby. 19. Greenwich – Cutty Sark, Maritime Museum, Observatory – catch a boat down the Thames to Greenwich Village. You can visit the fascinating Maritime museum, have a tour around the Observatory and view the famous Cutty Sark. 20. The Ritz – Anyone for High Tea? If you fancy some afternoon tea in luxurious surroundings then you can book in for one of the five daily tea sessions. If you have a healthy budget you can stay at the hotel, visit the ballroom or cinema. Close to Piccadilly and Green Park. 21. The Savoy – the famous Savoy hotel with panoramic views of London skyline and the river Thames. If you book far enough in advance you may be able to grab a deal. 22. 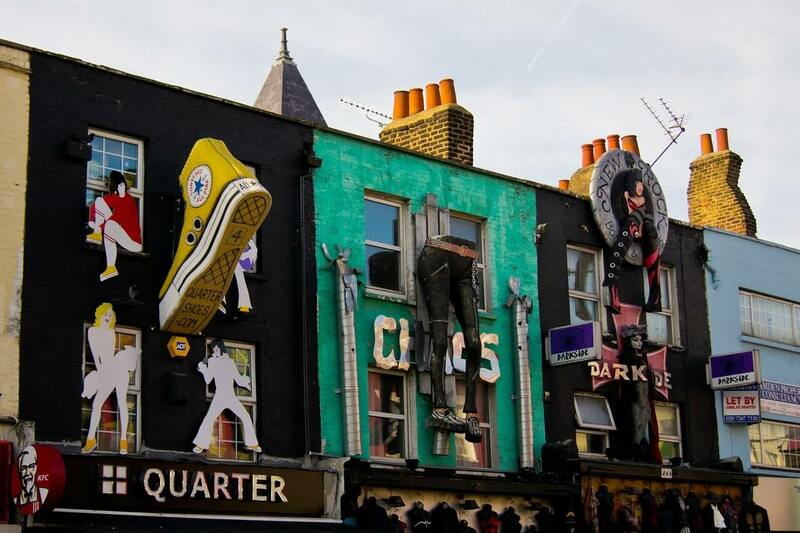 Camden Market – is one the most popular London markets. Bustling at the weekend with tourists and locals. You will find funky clothes, music, great food, bars, pubs and restaurants. A great atmosphere, right on the canal. It’s a little quieter during the week as there’s no big market but plenty of shops to visit. 23. Portobello Market – the famous market is full of vintage clothes and antiques. If you are looking for something a little unique then take a trip, you won’t be disappointed. 24. Kenwood House, Hampstead Heath – The heath spans across North London and is the perfect place to stretch your legs, have a picnic or visit the historic Kenwood House. There are also natural pools where many of the locals swim. A word of advice – take a map as you can spend hours wondering around if you get lost. It’s big and beautiful. 25. Carl Marx and Highgate Woods – About a 20 minute walk from Hampstead Heath is Highgate Village. Here you will find the famous Highgate cemetery, the final resting place of Carl Marx just one of the many famous people buried here. Highgate itself is a quaint Victorian village with some good pubs and restaurants (The Flask is very old and particularly good). 26. Brick Lane – Once home to the Jewish community it is now housed with Indian restaurants. Actually, most of the curry houses are run by the Bangladeshi community who make up the majority of the local community. 27. The Museum of Childhood (Bethnal Green) – something for the children. Artefacts, costumes, arts and activities, treasure hunts and more. Check out the exhibitions. Children and Adults will love this family day out. 28. The Royal London Hospital – (Whitechapel) has a museum open to the public. It was here that Joseph Merrick (The Elephant Man) spent his last few years. Displays include those of Joseph Merrick, Edith Cavell and original material on Jack the Ripper who committed his crimes around this area. 29. Walks around London – one of the best ways to see London is on foot. There’s the ‘Charles Dickens’ walk, Haunted Holborn, Money trail through the city’s square mile and much more. 30. Borough Market – Opposite London Bridge Tube Station. This is one of London’s biggest wholesale food markets. Delicious game and fish supplies as well as Artisan Bakers, Specialist Beers stalls and fresh fruit and vegetables. Open on Friday and Saturday. There is a pub just along the road called ‘The George’ one of the oldest pubs in London – worth a visit. 31. Colombia Road Market – in the East End. If you like flowers then this is the market to visit (Sunday’s only and it usually closes around 3pm). Close by is the famous Spitalfields market. 32. Shoreditch – Trendy Shoreditch with its warehouse conversions, art galleries and very cool bars is also worth a visit. 33. Soho – once home to the ‘ladies of the night’ it now a bustling cafe community. A popular place to drop into for a drink or bite to eat before you visit theatre land. 34. Covent Garden – one of London’s most popular tourist spots. Street theatre acts, arts and crafts as well as a huge choice of cafe’s bars and restaurants. 35. Oxford Street – home to all the big stores including the famous department store Selfridges. From Oxford Street you can easily access most central locations on foot. 36. The Globe Theatre – is associated with William Shakespeare. Originally built in 1599, later destroyed by fire 1613. The theatre that stands here now is approximately 750 feet from the original site. This newest site was opened in 1997 and is a popular theatre with all ages. 37. River Cruise – take a river cruise along the River Thames. 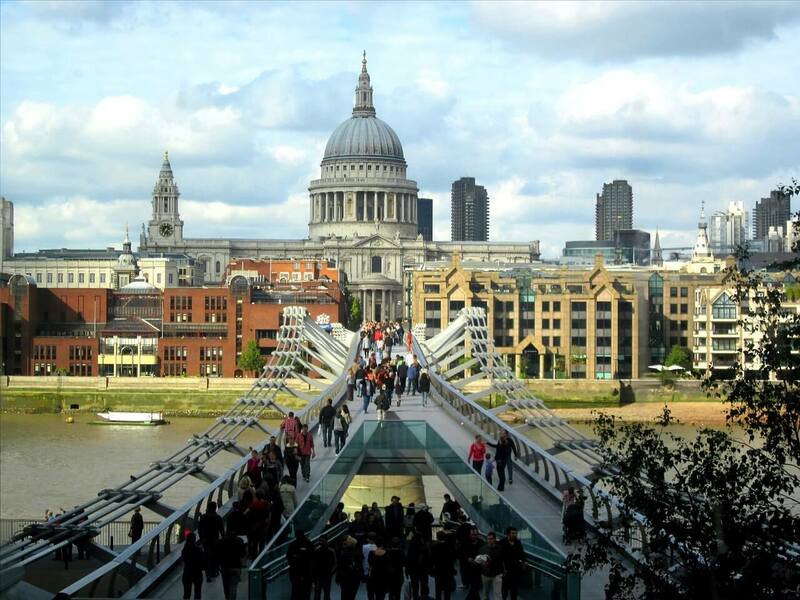 You will get to see some of London’s great architecture and learn about its history. 38. 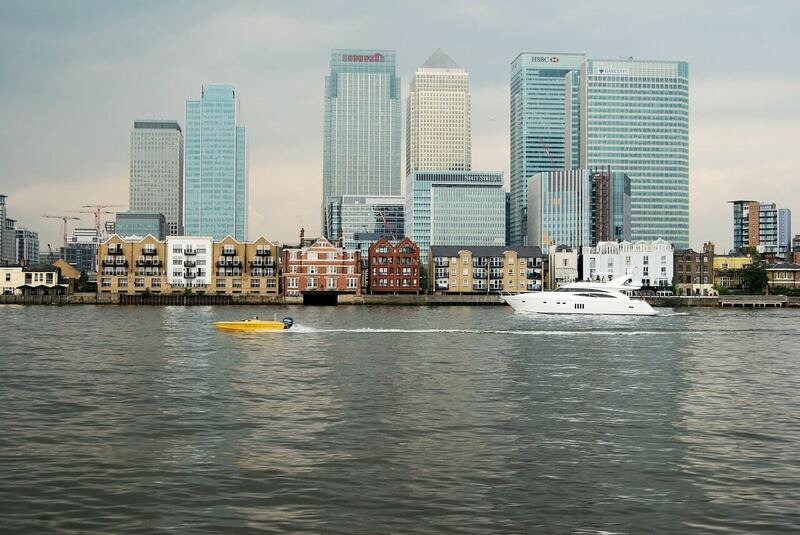 Canary Wharf / London Docklands – is one of London’s tallest buildings situated in a busy financial district, alive with shops, cafes and accessible on the DLR (Docklands Light Rail). 39. Kensington Palace – in the heart of the Royal Borough of Kensington and Chelsea. Home to the late Princess Diana. Visit the beautiful gardens, have lunch or afternoon tea. Close to Central London . 40. The Kings Road, Chelsea – One of the posh ends of town. The Kings Road used to be home to punks, mods and rockers. Now a bit more sophisticated. There are some beautiful shops, including the famous designer Vivienne Westwood. It’s also close to Chelsea Pier, as well as Chelsea and Fulham football clubs. 41. South Bank – Cross the bridge at embankment to the South side of the river and as your descend the stairs you will be at the doorstep of The Festival Hall. This is just one of the many attractions situated along the south bank. It’s a great area of riverside with views of the Houses of Parliament and Big Ben. You will find shops, cafÃ©’s, bars, fabulous entertainment/exhibitions at the festival hall and access to the Oxo tower. 42. London Zoo – close to Camden and Regent’s Park is London Zoo. You can see some spectacular animal’s right in the middle of the city, although you wouldn’t believe it. 43. Leicester Square / Piccadilly Circus / Shaftesbury Avenue / Theatre Land – In the heart of London you can easily walk between these bustling areas of London . Leicester Square and Piccadilly Circus are full of shops, cinema’s pubs and cafe’s. Running alongside Leicester square is Shaftesbury Avenue where many of the popular theatres are situated. 44. China Town – official name is Gerrard Street. A stone’s throw from Leicester Square to the south and Shaftsbury Avenue to the North. Even if Chinese food is not your favourite, it’s worth a stroll through the vibrant streets of Chinatown. 45. Trafalgar Square – a popular tourist attraction in the heart of the city. Home to the National Gallery, Nelson’s column and St. Martin’s-in-the-field, plus quite a few pigeons. 46. The Royal Academy of Arts – Green Park. The academy is an independent institution founded by George III in 1768. The original members wanted to provide a venue for British Arts and Architecture to be displayed to the public in which their skills could be passed onto future generations. 47. Hamley’s Toy Store – one of the finest toy stores in the world. You will find it on Regent Street. Don’t expect to ‘pop in’. There are 4 or 5 floors packed with every toy and game you could imagine. I’ve never managed to get in and out in less than an hour. 48. Hampton Court Palace – Former home to King Henry VIII. This Tudor building houses tapestries, artwork and activities for guests. There is the famous Hampton maze if you have a few hours to spare. 49. Harrods Department Store – Situated in Knightsbridge in the Royal Borough of Kensington. This upmarket store is worth a visit just to see the building. You will find luxury items of every description and the most amazing food hall. 50. Kew Gardens – The Royal Botanical gardens of Kew. Situated just 10 miles outside of London can be reached easily on the tube. Go to London On The Low cost!